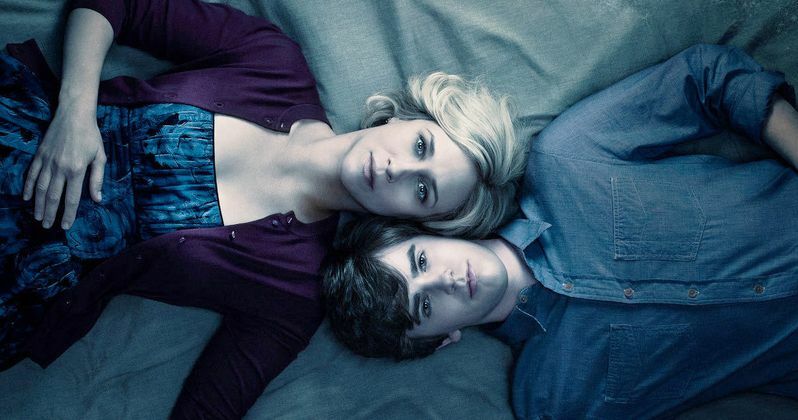 The Bates Motel series came to an end this week and so did A&E's scripted programming. A new effort to revitalize scripted programming on A&E started in 2008, but no original scripted show really stuck. Bates Motel was the exception. In fact, Bates Motel was the only show of A&E's scripted programming to last longer than one season since the show's debut in 2013. After more than a decade of effort, A&E will completely stop scripted programming in favor of the more popular reality programming. A&E general manager Rob Sharenow told Deadline that he was happy with A&E's scripted programming, but that it did not really fit with the direction that the network was moving. See what Sharenow had to say below. "I think Bates Motel was one of the best shows on television but to be candid, it was a bit of an outlier on the schedule. There wasn't an ecosystem of scripted (programming) to support it... I think it was a good time to say, 'We are going to double down on nonfiction content where we are having a lot of success. The market's really hungry for it." A&E is seeing their biggest ratings increase in 4 years thanks to its nonfiction programming. Shows like Leah Remini: Scientology and the Aftermath, 60 Days In, and Live PD have been generating new and repeat viewers to the network. In truth, A & E is going back to its roots in a way. The network's first nonfiction breakthrough, Biography is ramping up to start up again after A & E canceled the show in August of 2006. Shows like The First 48 and Intervention have been A&E staples for over 10 years will continue along with more recent hits, Storage Wars and Wahlburgers. Sharenow echoes this sentiment below. "It builds upon a foundation that was already there with shows like Intervention, The First 48, Nightwatch, not to mention Wahlburgers and a lot of the stuff that has been an ongoing part of our DNA for quite a long time." One nonfiction show that will not be making a comeback is Duck Dynasty. A&E announced back in November of 2016 that Duck Dynasty and the network jointly decided to not renew the show after 5 years and 130 episodes. The show was one of the largest reality programs in history, but was often wrapped in controversy. Cast member Phil Robertson nearly ended the show in 2013 by making racist comments toward African-Americans and anti-gay remarks in a published interview with GQ Magazine. Though many will miss A&E's scripted programming, it seems that this a good decision for the network. It's getting harder and harder for networks to compete with the internet, so it seems only logical for A&E to stick to what it does best. Biography will return later this spring with an inside look at the life of the Notorious B.I.G. and the show will air in various formats, including a multi-part series and 2 hour long specials.